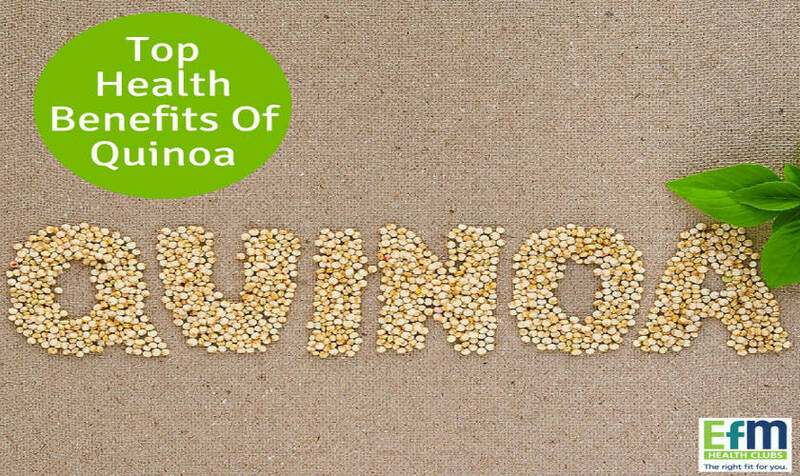 Quinoa is one food that’s quickly becoming popular among health-conscious individuals. This grain resembles rice and couscous but is more flavourful. Aside from that, it’s packed with vital nutrients, so it’s no wonder that more people are replacing their daily grains with this food instead. Many of us, especially women, lack iron and this mineral is actually important for our body functions, energy and immunity. It’s a necessary nutrient for our red blood cells and hemoglobin. At the same time, it improves the functions of the brain. Quinoa is remarkably high in protein, helping you feel more satisfied and providing your body with a large amount of essential amino acids. These are the amino acids that our bodies need but don’t naturally create so we have to seek them out from food sources. It even contains lysine which the body uses for heal and grow new tissue. One of the top benefits of quinoa is that it’s rich in fibre. For healthy and smooth digestion, both fibre and water are needed. It helps your bowel movement become more regular and alleviates constipation. Another reason fiber is wonderful for the health is because it makes you feel satisfied longer and keeps cravings at bay, plus it gives the body lesser calories. Many of us are unaware that we may be deficient in magnesium. When that happens, we are more prone to constant muscle cramps, soreness and stiff muscles, and even migraines and anxiety. One of magnesium’s many roles in the body is to help expand blood vessels which can prevent headaches. At the same time, magnesium can also aid in generating energy for the body and cleansing the body of toxins. The antioxidant content in quinoa is remarkable. Among other grains and cereals, it has the highest content. Antioxidants are proven to strengthen the body and shield it from damage caused by free radicals. These free radicals are responsible for aging-related sickness and other diseases like cancer, diabetes and heart conditions. Many people are now looking for foods without gluten since some people are allergic to this component. Some individuals also have celiac disease which means their bodies can’t tolerate gluten. Although there are other foods that are free of gluten, quinoa is one of the top recommended because it’s among the most nutritious. Foods with a high glycemic index will increase your blood sugar levels which in turn will lead to hunger pangs and cravings. This will trigger you to eat more and likely develop obesity. Fortunately, quinoa has a low glycemic index so that it can make you feel full without eliciting a spike in your blood sugar levels. Since it’s high in fibre and protein, quinoa helps promote loss of weight and those excess fats. It helps you feel full and stabilizes your appetite. In addition to that, the fact that it’s delicious while minimizing your calorie intake makes it a great part of your weight loss diet plan. Pair this excellent diet with an exercise routine and you’re sure to achieve your ideal weight, plus a healthier body.